1000 Champagnes were blind-tasted by the world's most respected wine critics and sommeliers. The results were published in Fine Champagne magazine, the only international publication devoted to Champagne and a renowned authority on the industry. Armand de Brignac Brut Gold was ranked #1. This year, the world's most respected wine critics and sommeliers put brand images and prices aside to conduct a rigorous blind-tasting of more than 1,000 brands. The results were published in Fine Champagne magazine, the only international publication devoted to Champagne and a renowned authority on the industry. Each Champagne was rated on a 100-point scale. The process was so strict that, if judges' assessments were more than four points apart, the Champagne would be re-tasted and re-assessed. When the results were weighed, the top ten included many classic names. The surprise first-place finisher was Armand de Brignac Brut Gold, with a taste score ranking No. 1 among the world's best Champagnes. Of the competition's results, Fine Champagne Editor-in-Chief Pekka Nuikki said, "Our highest rating went to Armand de Brignac: a fine, smooth and creamy champagne with underlying power and great mineral freshness. The panel praised the wine for its classic style and perfect drinkability today that does not compromise its aging capacity. 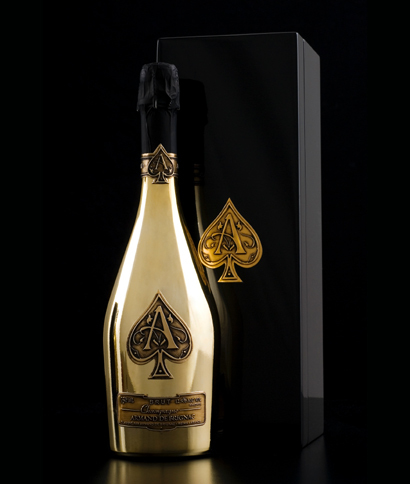 It has everything a truly great champagne can offer, and the packaging - the distinctive, showy golden "ace of spades" bottle - serves as a brilliant example of Armand de Brignac's courageous, successful branding." This extraordinary recognition crowns a series of accolades accumulated from expert critics, journalists, and wine lovers all over the world. "To be selected as the best-tasting Champagne in the world is a remarkable achievement, but to receive such an award in a large blind-tasting competition is testimony to the quality of our product," said Jean-Jacques Cattier, head winemaker of Champagne Armand de Brignac and the estate's patriarch. "It is a further incentive to continue making the best Champagne in the world for those who are truly passionate about the art of Champagne." Armand de Brignac Champagne, a prestige cuvée bearing recognizable pewter Ace of Spades insignias on its bottle, exemplifies unmatched winemaking expertise and a true passion for the art of Champagne. Armand de Brignac is produced by the award-winning Champagne Cattier chateau of Chigny-les-Roses, France. The Cattier family has owned and cultivated vineyards in the Montagne de Reims terroir in the French Champagne region since 1763, and Patriarch Jean-Jacques Cattier oversees the production of Armand de Brignac using intricate, old-world production techniques and a staff of only eight people. 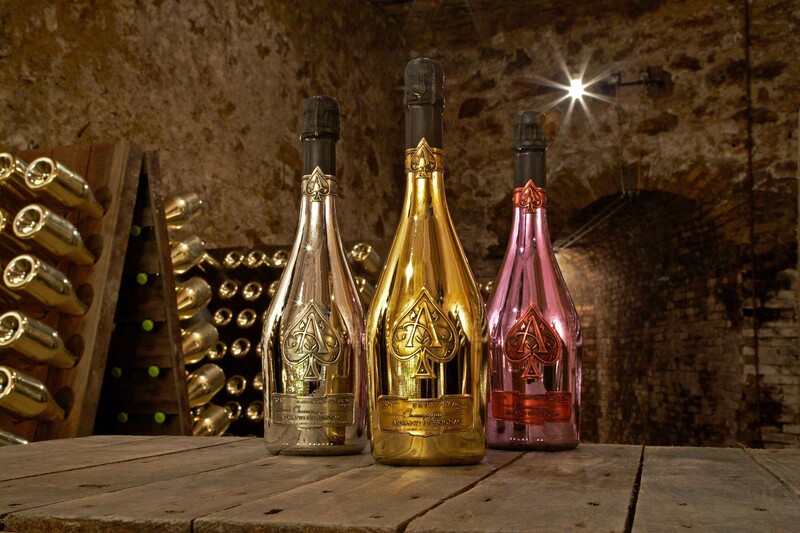 Armand de Brignac is currently available in approximately 50 countries worldwide. The Champagne counts among its accolades a score of 98 (out of 100) points from world-renowned wine critic José Peñín and has now been ranked #1 among the world's best Champagnes by FINE Champagne magazine. Armand de Brignac Champagne is available throughout the United States in fine wine retailers and top restaurants, hotels and clubs. Armand de Brignac Champagne Brut Gold retails at approximately $300; Armand de Brignac Champagne Rosé and Blanc de Blancs retail at approximately $500 each.